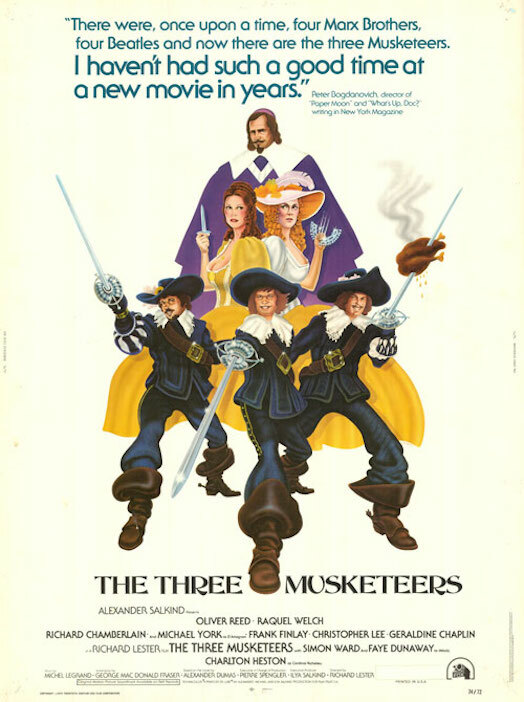 Originally intended by Lester as a vehicle for the Beatles, The Three Musketeers was also originally meant to be a three-hour epic (including intermission), but when it became clear that it wouldn’t make its release date in that format, the decision was made to split the project into two movies (The Four Musketeers followed in 1974). The sequel/second half is a more sombre affair, some of it necessarily so, but this first movie is a blast, a riotous panoply of silly humour, even sillier sight gags, and some of the best swordfights ever committed to the big screen. Energetic, vibrant, and poking fun at everything it can with an insistence and a panache that even the hardest of hearts would be hard-pressed to deny, the movie is the quintessential romp, an action adventure movie with a surfeit of heart and a knowing sense of its own absurdity. Everyone involved is so obviously having fun, you want to join them and buckle your swash in the same exciting fashion as they do, leaping and spinning and pivoting, and killing the Cardinal’s men with flair and passion. If you take nothing else away from Lester’s movie, you have to applaud the swordfights – choreographed by master swordsman William Hobbs – and the breathtaking energy that infuses them all. Whatever else happens – and George Macdonald Fraser’s screenplay adheres closely to Dumas’ novel – it’s the action that elevates the material and ensures its entertainment value. Lester and his talented cast may be looking to make sure everyone stays happy and smiling throughout, but he also makes the peril facing the Queen (and unsuspecting King) sufficiently serious to ensure that the movie’s comedy credentials aren’t the only thing on display. Richelieu’s dastardly plot, and the machinations of Milady de Winter (a spirited Dunaway), drive the narrative forward with a telling urgency, and though this slows down the action, the committed performances keep the audience from noticing the movie’s need to focus on the plot for a while. The relationship between the three musketeers and D’Artagnan is also given room to evolve, and even though Fraser comes close at times to making it seem perfunctory, York et al invest their characters with a great deal of heart and sincerity. As well as comedy and drama, there’s romance too in the form of D’Artagnan’s attraction for Constance (Welch), the Queen’s dressmaker who somehow makes a virtue out of being clumsy (full marks too for Miriam Brickman, the uncredited casting director who paired Welch with Spike Milligan; he’s her screen husband). With all the elements working extremely well together, and propped up by an exciting story told in exciting fashion, Lester’s one-time Beatles project reveals itself as a fun time to be had by all. 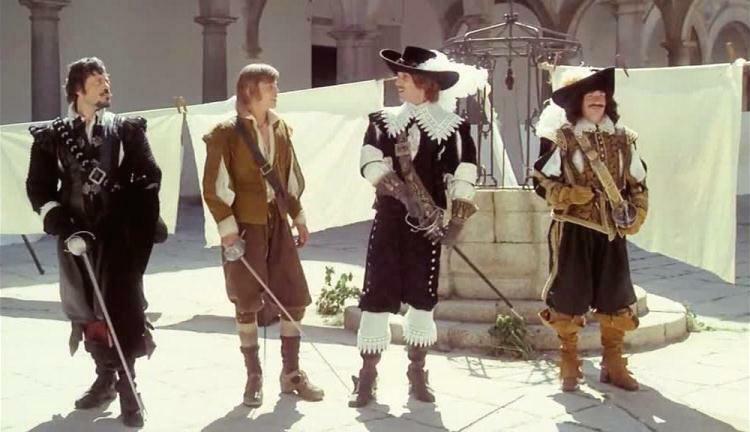 Rating: 9/10 – easily the best version of Dumas’ classic tale, The Three Musketeers is endearingly odd in places (or maybe oddly endearing), deliberately silly in others, and an absolute pleasure to watch – whatever is going on; a rip-roaring piece of unbridled entertainment, it’s funny and fresh, pays more attention to period detail than you might expect, and has absolutely no more ambition than to provide its audience with as good a time as possible, something in which it succeeds with consummate ease.